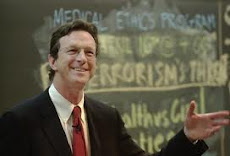 Many people visit this blog because, like me, they love Michael Crichton’s books. But what books did Michael Crichton himself love? What books did he recommend? What books influenced the way he wrote? BN: What was the book that most influenced your life or your career as a writer? MC: Arthur Conan Doyle's The Hound of the Baskervilles was the first novel I read as a young person, that I genuinely enjoyed. (I was plowing my way through the classics at the time, and Lorna Doone wasn't doing much for me.) I subsequently read all the Holmes stories, and later in life went back to study them, to see how Conan Doyle had moved his narratives forward so quickly. In fact, his techniques are quite cinematic. I picked up The Ipcress File,” he recalled, “and was terrifically impressed with it. A lot of ‘Andromeda’ is traceable to ‘Ipcress,’ in terms of trying to create an imaginary world using recognizable techniques and real people. • George Orwell, Collected Essays -- He is my favorite writer, and I read him as a teenager because my father admired him a lot. From Orwell, I got an insight into an independent mind and I emulated him. • Mark Twain, Life on the Mississippi -- Making art out of life, blurring the lines of fiction and nonfiction. And of course funny. • Witter Bynner, Tao Te Ching -- This is my preferred translation of this classic, which influenced me very much in my approach to life. • Robert Louis Stevenson, The Black Arrow -- Actually, I recommend anything by Stevenson. This particular novel must be the source for about 50 movie clichés for any period story. It's great fun. • Ken Wilbur, No Boundary -- The first of his books I ever read, and I have read almost all of them. He's brilliant. • Alejo Carpentier, The Lost Steps -- I regard this as a man's novel, about manhood. And rare for that. • Mary Midgeley, anything by her -- I find her the one of the most interesting contemporary philosophers because she works with real-life issues. And she is especially interesting about science: Evolution as Religion, Beast and Man, Wickedness, and so on. • Graham Greene, The End of the Affair -- Again, art into life. A classic in some ways disagreeable and even repellent, but for me mysterious in its impact, and unforgettable. • Ram Dass, Be Here Now -- A very important book for me at a troubled time in my life. I wrote about why in a book of my own called Travels. • James Thurber, The Thirteen Clocks -- a children's book. In the June 3, 2007 New York Times Sunday Book Review, a survey “Read Any Good Books Lately?” featured celebrities giving their recommendations. Nassim Nicholas Taleb, The Black Swan: The Impact of the Highly Improbable. The second volume by the author of Fooled by Randomness continues his theme — our blindness to the randomness of life — in an even more provocative, wide-ranging and amusing mode. A book that is both entertaining and difficult. P. K. Feyerabend, Problems of Empiricism: Philosophical Papers, Volume 2. From 1981, a brisk reminder that the conflicts of contemporary science are not in any way new or unique. The author is reviled in many quarters, mostly by those who have not read him. He is invariably provocative. Anthony Bourdain, Bone in the Throat. Wonderful fun, a perfect book to read at the beach. Look for these books and many others at your local library! Ask your librarian about interlibrary loan for books you can’t find at your local library. …Librarian Ann Cloonan, director of the Bedford Village Free Library, said she recalls hearing he was a big library supporter in communities where he has lived. He was known for generously donating funds and his time. When Bedford Village, for example, planned a building expansion more than a decade ago, Cloonan, says that staff recalls that he spoke at the library during a capital campaign fund-raiser. And here are some photos from a February 2003 event where Michael Crichton read from his book Prey to benefit the Los Angeles Public Library Foundation. Michael Crichton’s official website has recently added photos of the front and back covers of both the 1977 edition and the 1994 edition of Crichton’s book on Jasper Johns. Photos of the exhibit can be viewed at Christie's Press Preview and “Michael Crichton Knows Art”. One of Crichton’s friendships was with David Hockney, who made a portrait of Crichton in 1976. The portrait was sold at auction for $650 in 2004. Christie's spokesperson Sung-Hee Park, quoted in an article by Lee Rosenbaum, said the Crichton consignment consists of about 97 works---approximately 30 in the May evening contemporary sale; 48 grouped in their own section of the May day sale for less important contemporary works; 14 in the Apr. 26 prints sale; 5 in the Apr. 15 photographs sale. All of the paintings can be seen along with an article at the Italian art website Art Economy 24. The article can be read in the original Italian or in an English translation. This photo from the Architectural Digest July 2002 issue shows Jasper Johns’ Flag hanging in the library of Crichton’s Bedford, New York home. In other photos from the article (not available online), Picasso’s Femme et Filettes (Woman and Children) is seen on a wall in Crichton’s living room, and Lichtenstein’s Girl in Water is visible on the wall of the hallway opposite the master bedroom door.